Business View Magazine interviews Stephen Udvardy, President of the North American Die Casting Association (NADCA), for our focus on the Die Casting Industry. 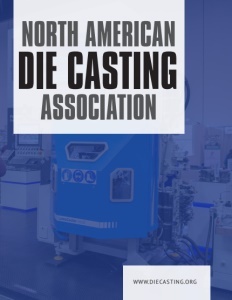 The North American Die Casting Association (NADCA) represents the voice of the die casting industry and is committed to promoting industry awareness, domestic growth in the global marketplace, and member exposure. Headquartered in Arlington Heights, Illinois, the Association is comprised of both individual members and corporate members located throughout United States, Canada, and Mexico. Members of NADCA receive monthly magazines and e-newsletters on industry events and technical updates, die casting design assistance, discounts on publications and services, access to sales leads, and exposure to OEMs. Most recently, North American Die Casting Association has completed a searchable die caster database, containing more than 500 domestic die casters that can be filtered by name, region, materials, and casting sizes. The highest density of die casters is in and around the Midwest, with pockets in the Southeast, and the west and east coasts. NADCA President, Stephen Udvardy, recently spoke with Business View Magazine about current challenges and topics of concern for companies in the die casting industry, and the benefits of NADCA membership. The following is an edited transcript of that conservation. BVM: When was North American Die Casting Association founded and what mission does the Association fulfill? 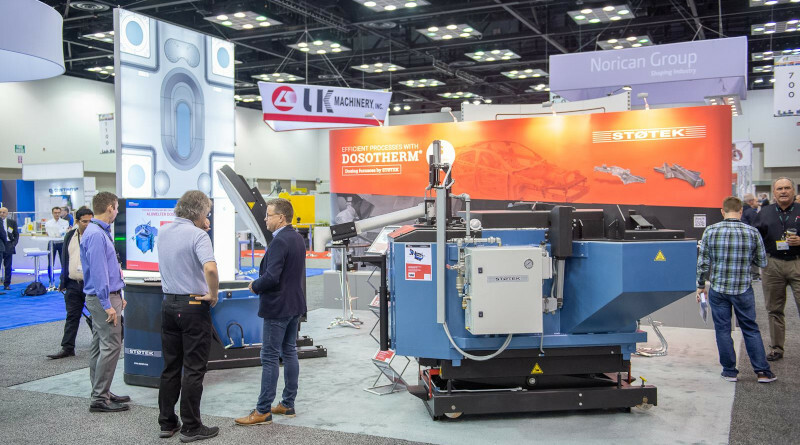 Udvardy: “In 1989, NADCA became a non-profit corporation in the state of Illinois, formed from the Society of Die Casting Engineers (SDCE) and the American Die Casting Institute (ADCI). One was an educational branch, the other more of a technical entity, and it made sense to combine them into a single organization. Today, we’re the sole die casting association in North America. BVM: Is advocacy one of your services? Udvardy: “Yes. Tariffs have been at the forefront with our members and we try to stay proactive with the issue. We’ve done various communications trying to explain the current tariffs to the industry because it can be confusing. We recently conducted a survey to see what exposure our member companies have, in terms of the 301 China tariffs, as well as what type of cost and delivery impact people are seeing with the 232 aluminum and steel tariffs. “Regarding NAFTA (North American Free Trade Agreement), we keep members apprised of what’s happening, and when there’s an opportunity to provide a position, the Association does that. In fact, we provided letters of opposition, as well as testimony, through one of our members, to the Department of Commerce when there were hearings on the aluminum and steel tariffs. BVM: How do you communicate with membership? Udvardy: “We have two levels of membership. There are a couple hundred corporate members, and we also have individual members – the price for them is lower but so is the benefit level. Corporate memberships get the highest level of benefit as far as services, discounts on publications, education, and training. Non-members pay the list price on all our saleable items, education and training. Individual membership is around 3,000, and that number has stayed fairly steady over the years. Some people decide not to renew, and different people become members. You lose some and gain some. “Avenues of communication include electronic, via email and our extensive website, and hard copy mailing. We send out a weekly e-newsletter, and special emails and hard copy mailings, depending on what information we’re trying to get out, such as press releases. We have a distribution of key contacts at all of the die casting plants and our die casting supplier member companies. BVM: What challenges and changes do you anticipate happening in the industry over the next few years? Udvardy: “Changes in technology will continue and two main areas are productivity and overall cost, so, becoming more energy efficient. That is probably the best way to stay world-competitive. If you don’t have a niche market that can command a higher price and profit margin, then it has to come from increased productivity. One of the emerging technologies that can assist in that area is with smart machines and machine learning. BVM: Does the Association have any new initiatives planned? Udvardy: “Yes, we’re working on something we’ve not offered in the past – an Association health plan. It would be through a third-party broker, but when we look at issues that come through the industry, certainly, healthcare costs are one of those. 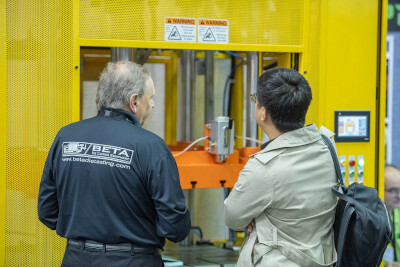 North American Die Casting Association feels if we can assist in providing alternatives that might result in lower insurance premiums for our member companies, we’re happy to do that. So, that is currently under study. “Something else we’ve done differently this year is allowed plants to provide proposals to NADCA for research and development projects. Most of the R&D projects we’ve conducted in the past have come through our technical committees or from outside funding sources like the Dept. of Energy and Dept. of Defense. NADCA, being a non-profit organization, tries to garner as much federal or outside support for R&D as it can. Currently, the Dept. of Defense provides the largest funding source for our research projects. NADCA has some funds, as well, that it uses for its own projects. BVM: How would you sum up the importance of North American Die Casting Association to the die casting industry? Udvardy: “We’re here to help the industry and act as its voice in North America. NADCA offers a wide variety of products and services that not all our members and non-members are fully aware of, so, we’d like to encourage the industry to look at getting the full benefit of what their Association has to provide. Check out this handpicked feature on Nationwide Boiler Inc. – Integrity, dependability, real customer service.